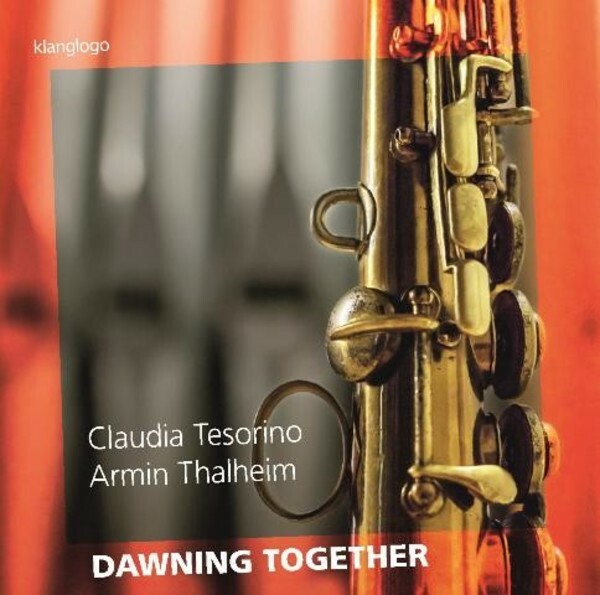 Two worlds collide - and become one: on ‘Dawning Together’, German-Canadian saxophonist Claudia Tesorino and Berlin-based organist Armin Thalheim create new soundworlds with their different instruments. Their CD documents a fascinating musical friendship beyond the trodden paths. Claudia Tesorino, much in demand internationally, is at home in a variety of styles: she proves that jazz and classical, big band and premiere performances of contemporary music are not irreconcilable. The organ is part of this broad sonic palette, as a matter of course. ‘Dawning Together’ grew from free improvisation, the greatest challenge of making music together. It's ideal: to give flight to the dynamics of musicianship with as few preset arrangements as possible. In order to shape this freedom, so as not to be lost in arbitrary meaninglessness, skillful experts are needed. Together, the musicians wrestle for the beauty of the moment. The result: magical moments and a stunning diversity of colours and atmospheres. 8. Where did I leave my keys?